Comics and full throttled ladies. 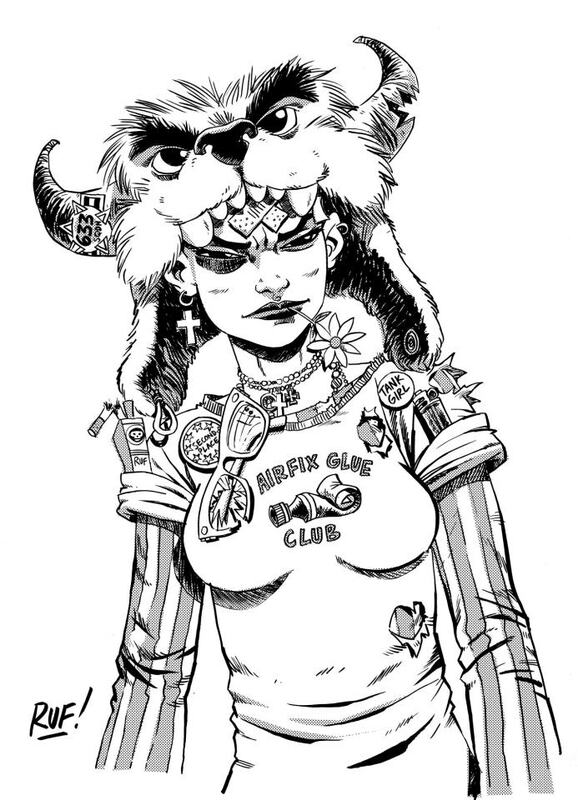 Tank Girl was probably my first introduction to comics and drew me in to the medium. I’m always drawn to the female character; be it in books, teevee or video games. Tank Girl dropped in to my radar perfectly. I instantly fell in love with the no nonsense attitude and the crazy world that Alan Martin created for her. 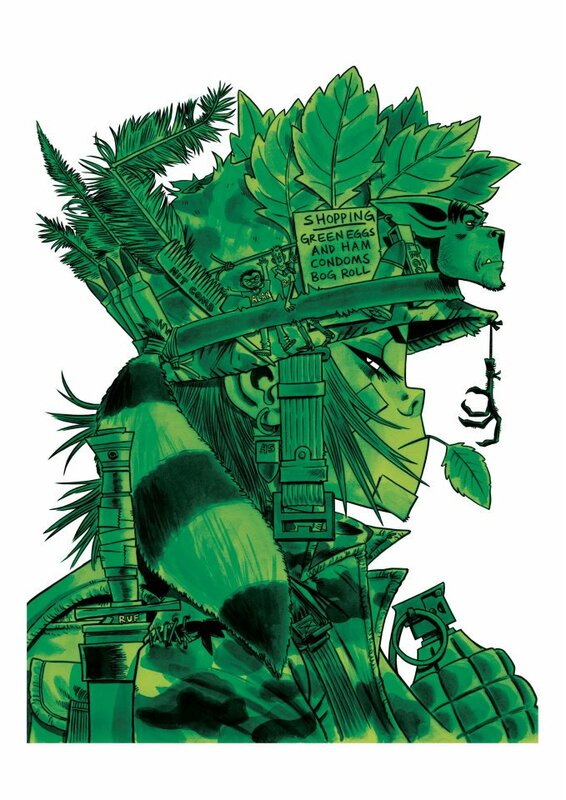 Not only did I fall in love with the character I fell in love with the art that came with her… who couldn’t resist a bit of Jamie Hewlett or Ashley Wood to feast your eyes upon. 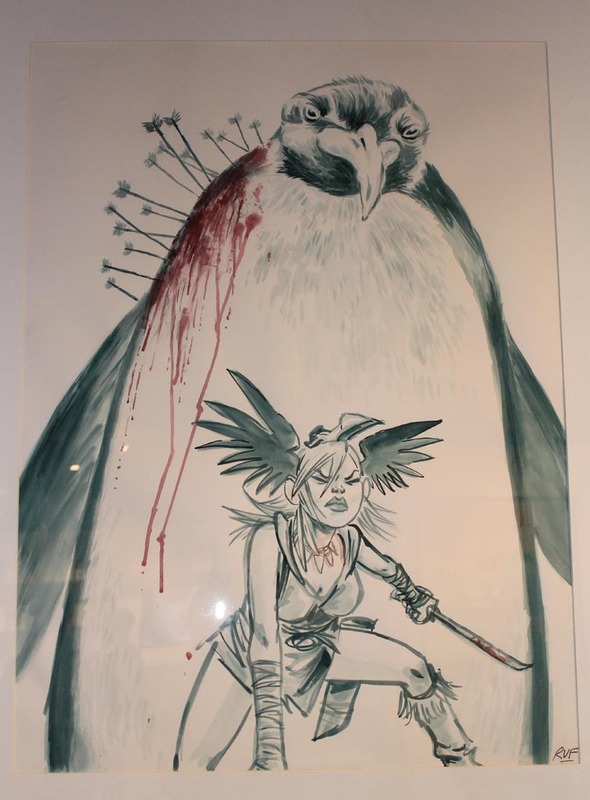 I was super excited when Tank Girl got relaunched and then equally excited when I saw the new artwork that came with it. 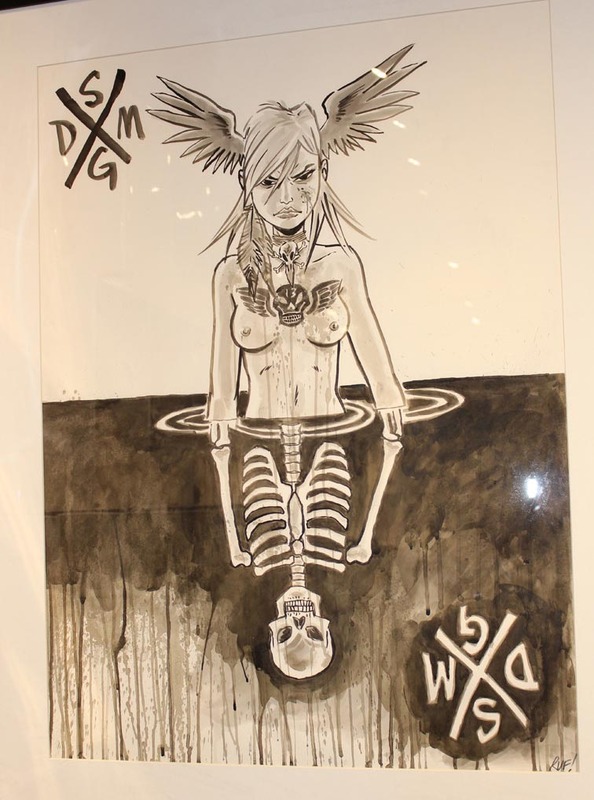 This introduced me to Rufus Dayglo. 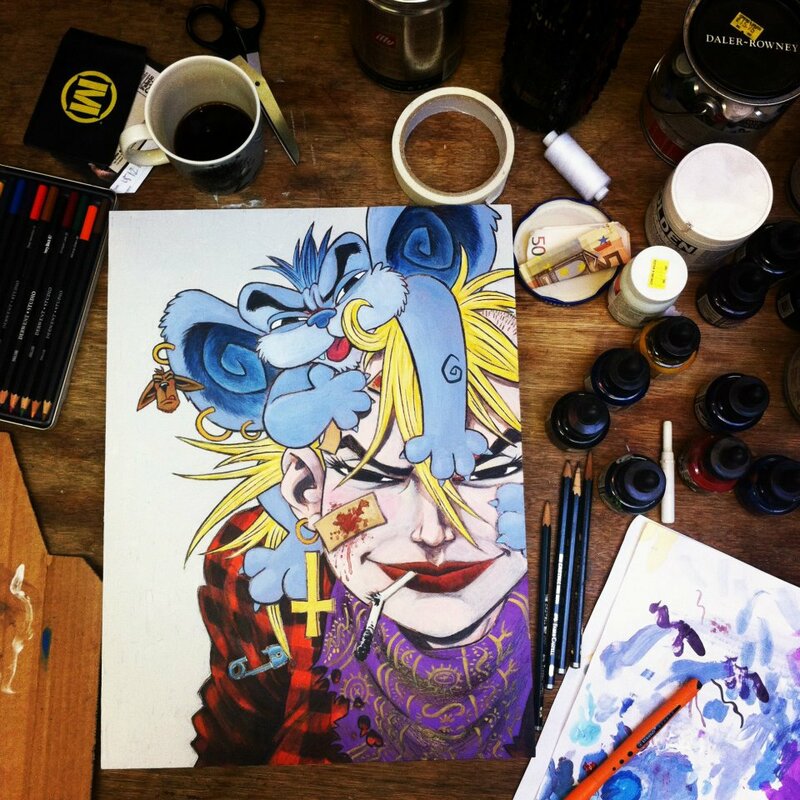 Rufus Dayglo’s career is a colourful one including work with Jim Henson, 2000AD and of course the amazing writings of Alan Martin on the Tank Girl series. Currently working with his partner in crime Sofie Dodgson on his own female lead comic Solid Gold Death Mask; the excitement around this, for me, is massive. 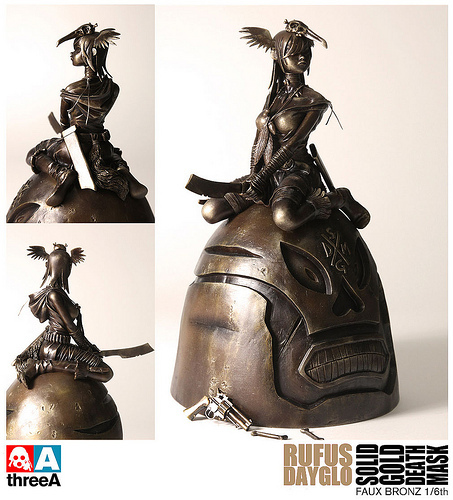 Not only that he’s also working with Ashley Wood’s 3A Toys which cranks up the excitometer another notch!. I love the intricate little details in his art, the humour, the punk ethos, the all guns out and, for me, it’s all about the eyes!!!! Of course he draws other awesomes but these are just the characters that trigger the drool button for me. On top of being a talented fellow, if you order a print or see Rufus at a con you will get a touch of someone going the extra mile. A boy with great talent with pencils, an obsession with Gundam, Japanese robots, skulls and skelebobs and vintage junk. All adds to the awesomes in our books.